Please read carefully as these terms & conditions apply whenever an order for products is placed by you or when you submit an order for re-soleing, repairs or other services provided through us, by our suppliers. If you would like to contact us or wish to make a complaint, please call our shop directly on 015394 33329 within opening hours or email fwtyson@btinternet.com Alternatively, if you prefer to write by post, then please send your letter to F.W. Tyson, Market Place, Ambleside. Cumbria. LA22 9BU. All notices and written communication should also be sent to this address. the site, or the server that make it available, are free of viruses or bugs or represents the full functionality, accuracy or reliability of the website. The steps required by you to enter into a contract with us are that you place your order for the products by clicking on the pay now button at the end of the checkout process once your product information; payment details and personal information have been submitted. You will be guided through the ordering process by our website and its instructions. Please take time to ensure that your order details are correct. Once you have submitted an order, we will send you an acknowledgement email detailing the products you have ordered. This email acts simply as an acknowledgement that your order has been submitted and will be processed by us, not that the order is confirmed or accepted. Please note all orders are subject to stock availability. We will inform you by email as soon as possible if the product you have ordered is not in stock. We will not take payment from you until the product is ready for despatch. If you have already paid for the product and it is not in stock, we will refund you the amount you have paid. Your order will be accepted and confirmed by us when the products have been despatched. A further email will be sent to you when your ordered products have been despatched. The contract between you and us will only be formed once you have received an email confirming despatch of the order. We will normally check prices as part of our despatch procedures. If the products are incorrectly priced, then where the product’s correct price is less than the price stated on our site, we will refund the difference of the lower amount. However, please note that if the pricing error is obvious and unmistakable and could reasonably have been recognised by you as mis-pricing, we do not have to provide the products to you at the incorrect (lower) price. Where the product’s correct price is higher than the price stated on our site, we will contact you in writing as soon as possible to inform you of this error. We will give you the option of continuing to purchase the product at the correct price or cancelling the order. We will not process any payment transactions until we have your instructions. If we are unable to contact you within seven (7) calendar days using the personal information you provided to us, we will treat the order as cancelled and notify you in writing confirming the refund. The price of the product does not include delivery charges. Our delivery charges are as quoted on our site & confirmed at check-out. You can only pay for your products by using a debit card or credit card (excluding AMEX). We accept cheques as well as card payments made by phone. Payment preference selection is made by a ‘tick box’ in the check-out. The cards we accept are shown at the time of ordering & displayed on the ‘home’ web page. We are sorry that we cannot make changes or cancel an order once you have placed it. If you are not happy with the item, please return it using the Returns Process. If you need to return an item to F.W. 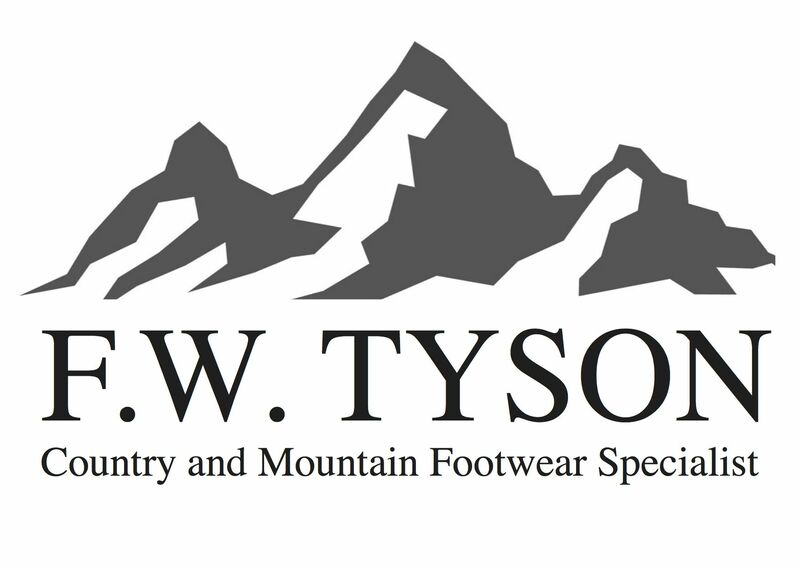 Tyson please do so within twenty-eight (28) days following delivery of your goods. The return conditions detailed below must be met for a full refund. All returns should be paid for, retaining a Proof of Postage & tracking number. The original delivery charge will only be refunded if the goods are deemed substandard or faulty, or at our discretion should there be other circumstances to be considered. Whilst you are deciding whether to keep your purchases, you do have a legal duty to take reasonable care of the items. All products must be returned in a re-saleable condition to F.W. Tyson, Market Street, Ambleside. Cumbria. LA22 9BU. This means the product and its packaging; labels and tags are undamaged and unused. We will not accept worn, damaged, altered or used goods. We reserve the right to reduce the amount of monies refunded (up to the value of the contract price) where the value of the goods are diminished from your handling of the goods which goes beyond what is necessary to establish the nature, characteristics and functioning of the goods. We shall evaluate the condition of the product by considering if your handling goes beyond that which might reasonably be allowed in a shop and the general wear of the product. For ‘Special Orders’ those being products ‘NOT’ a stock item or being a style outside our selected range; whereby you have stipulated size, colour etc. In such a case we reserve the right to refusal of a return other than should the item be deemed faulty. Your statutory rights are not affected. Please see our ‘Returns and Exchanges’ page for how to exercise those rights. Any refund made will be made by cheque, payable to the name & address as presented on the processed order. Refunds will usually be processed within five (5) working days of products being received back. If the product is faulty or not as described, your legal rights are not affected by the above returns policy. Please say if you consider the products are faulty or not as described. See below for faulty products. We do accept exchange requests for unworn goods or faulty goods, when stock levels permit. Where an item is not available for exchange a refund will be offered to the original value of the goods. Exchanges of alternative products & value will be applicable to a subsequent charge/refund of the difference in value. We will aim to deliver your order by the estimated delivery date set out on the website, unless there is an Event Outside Our Control (please see below). If we’re unable to meet the estimated delivery date, then we will inform you of a revised estimated delivery date. You will have the right to cancel your order and to be refunded if you are not happy with the revised estimated delivery date. Delivery will be completed when we attempt to deliver the products to you or a person identified by you to the address you gave to us or other address or location which is agreed between you and our courier. 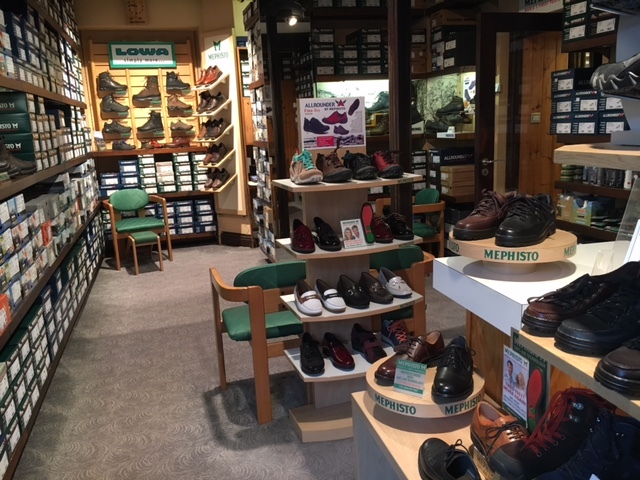 We accept orders by telephone or in person for in-store collection. Payment can be made prior to, or on the day of collection. In all cases, we notify the customer (by telephone) once the goods are in our possession & available for collection. We are currently unable to offer PO Box delivery or delivery to hotel . You may place an order if you live outside the EU Customs Union which will be applicable to an alternative charge. We will in all cases advise the customer by telephone or email, to seek approval & additional payment prior to despatching the goods. We DO NOT take responsibility for any additional levies, custom charges or restrictions placed by the destination country. These are entirely the reserve of the customer. We do reserve the right to refuse an order if we deem systematic problems which may affect the delivery. We aim to ensure our products are of the highest quality & standard. However, if you consider a product is faulty or not as described, please inform us immediately on receipt of the goods. Where the product is faulty or not as described, you have the statutory right within thirty (30) days of delivery to reject the product and receive a refund or you can elect for the product to be repaired or replaced. You acknowledge and agree that all the intellectual property on the website including (but not limited to) logos, trademarks, images of products is owned by us or our suppliers licensees. You agree not to (and ensure no other person shall) copy, reproduce, edit, transmit, publish, display, create derivative works or use in any manner such intellectual property. The price of a product includes VAT (where applicable) at the current rate chargeable in the United Kingdom. However, if the rate of VAT changes between the date of your order and the date of delivery, we may adjust the VAT you pay, unless you have already paid for the products in full before the change in VAT takes effect.